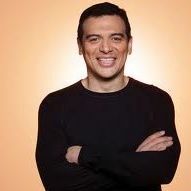 Performing this weekend at Charlottes Comedy Zone cltcomedyzone.com Carlos Mencia returns to the room that's always on the air. Unplugged and Totally Uncut isn't just a name. We live it. And Carlos is the man that can handle the quick action on the floor then deliver lines that will leave you in a state of wanting to pee your pants.